Today, we are talking about the worst signer in all of baseball. This of course is The Say Hey Kid, Willie Mays. As a collector of autographs for over 40 years and, a former season ticket holder at Dodger Stadium, I have probably seen Mr. Mays a couple of hundred times off the field. I can honestly say without hesitation, he is the rudest, most hateful professional athlete I have ever seen when it comes to autographs. He makes Bob Gibson, Steve Carlton or John Denny look like saints. I have personally witnessed him telling kids to F— Off. I have seen him tell collectors to go to hell and stick their items up various parts of their anatomy. Most of my experiences with the San Francisco Giants great came when he was an active player during the 60’s and 70’s. However, I have probably seen him action since that time about 50+ times. I am sad to tell you that he has gotten much worse. Even at autograph shows, where his autograph can cost north of $100, he is still a complete jerk! 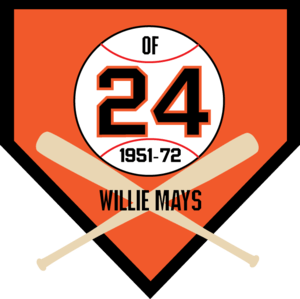 Willie Mays has to be one of the most miserable human beings in existence. This once beloved baseball icon is now nothing more than a pathetic old man. This entry was posted in Uncategorized and tagged mlb, Worst Autograh Signers. Bookmark the permalink.